Given the many varieties of mattresses on the market today, making a particular product stand out from the crowd isn’t easy. A number of mattress businesses have, however, met that challenge – flexing their creative muscles and demonstrating the ingenuity of their wares through state-of-the-art materials and groundbreaking technology. Even better, many of these improvements have been engineered to make the goal of a good night’s sleep all the more attainable – and that’s where this list comes in. 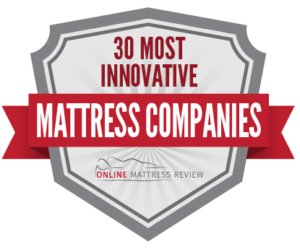 The following 30 mattress companies are the most innovative of their kind – thanks to ranges including everything from smart mattresses that can track sleeping patterns and turn off the lights to models crafted with unusual fabrics that are also kind to the planet. To establish which companies should be featured in this list, the editors turned to Consumer Reports’ “Mattress Ratings & Reliability” review, selecting only those businesses deemed to be sufficiently pioneering. Mattress companies’ websites were consulted, too, in order to gather further evidence of innovation. 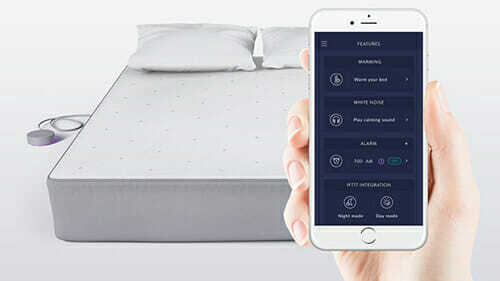 • Smart Technology: whether the company produces smart mattresses – and the uniqueness of any key features and apps used in such models. 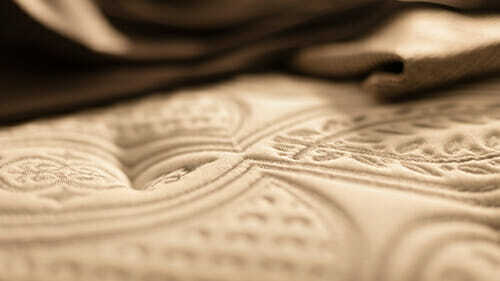 • Materials: whether the company has developed or patented any new materials that it uses in its mattresses. • Construction: whether the company has developed or patented any new design technologies that it uses in the construction of its mattresses. • Research and Manufacturing: whether the company takes a progressive approach to the manufacturing process or is particularly groundbreaking in its research and development methods. When this was done, the Total Scores in each metric were combined to produce a Total Metric Score for each company – and it was using these results that the final ordering was determined. 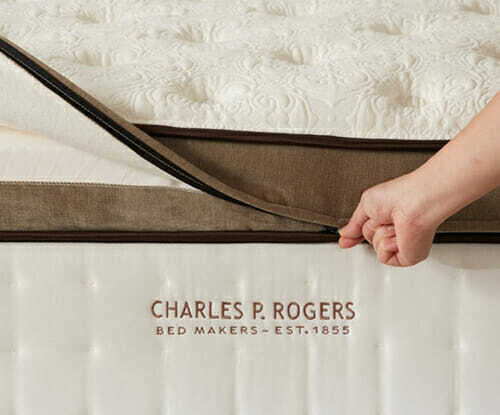 According to the Charles P. Rogers website, “Great mattresses start with the springs.” And the company backs this assertion up by emphasizing the fact that the spring units contained in its mattresses are built and created from scratch, using in-house machines to help prevent competitors from producing their own imitations of the Powercore Plus system. Meanwhile, the Powercore pocket coil springs themselves are said to both offer exceptional support and bolster the durability of the mattresses in which they feature. 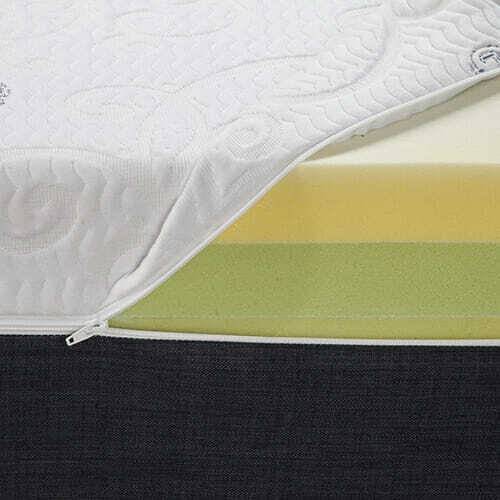 In fact, the company claims that this particular aspect of the mattress “would provide a good night’s sleep [in itself] without an ounce of additional padding.” With a view to supplying extra comfort and reinforcement, though, Charles P. Rogers’ Powercore Nano mattress includes an additional layer of coils combined with yielding latex. The Amerisleep website explains that while memory foam may play its part in helping achieve a good night’s rest, the materials from which the foam is typically made are often not environmentally sustainable. Amerisleep’s mattresses, on the other hand, rely less on petroleum-based products and more on those derived from plants, making the company’s wares a little greener as a result. Innovation is also in evidence in the AS4 mattress’ “Affinity” layer, which boasts what Amerisleep calls “Surface Modification Technology.” This aspect of the model has been divided into specific “zones” that are said to afford higher levels of pressure relief to particular regions of the body, including the lumbar region and the shoulders. The company’s patented Bio-Pur foam, meanwhile, is claimed to be “five times more breathable than traditional memory foam,” thanks to an open-cell configuration that diverts excess heat away from the sleeper. According to Leesa’s website, the company was created “with a simple goal [in mind]: to help people sleep better.” Presumably to that end, then, Leesa’s signature and Sapira mattresses both contain specialist Avena foam. This material is said both to be particularly resilient and to compare favorably to other latex foams on the market when it comes to retaining firmness. In fact, Leesa claims that thanks to Avena’s exceptional level of support, the textile even “outperforms… memory foam.” Avena has considerable green credentials, too, since it’s totally recyclable and has been produced through an eco-friendly manufacturing scheme. And if that’s not kudos enough, then Leesa also leads the way when it comes to philanthropy. The company gives away one mattress in every ten to charitable organizations that help the homeless, for example; and back on the ecological front, a joint venture with the Arbor Day Foundation means that a tree is planted for every mattress sale made. Read our full review of Leesa. Although the company behind Eastman House, Chittenden & Eastman, was founded all the way back in 1866, there’s certainly some modern technology on display in the mattresses that the business sells today. Take, for example, The Onyx model, which includes what Eastman House calls “Dual Vertical Support Technology” – two sets of robust steel springs intended not only to boost durability and increase comfort, but also to promote air flow around the mattress. At the same time, the company’s patented Quantum Edge system – made up of side walls of finer coils – should both help counteract everyday wear and tear and promote comfort across every square inch of the mattress. And presumably with a view to being kinder to the environment, Eastman House’s mattresses contain natural materials in the form of latex and wool – the former of which is also said to be hypoallergenic. Eclipse International can trace its origins back to early-20th-century New York, when Sam and Max Weisglass founded Weisglass Spring Company. This business, in turn, eventually became Eclipse Sleep Products – the forerunner of the current company. 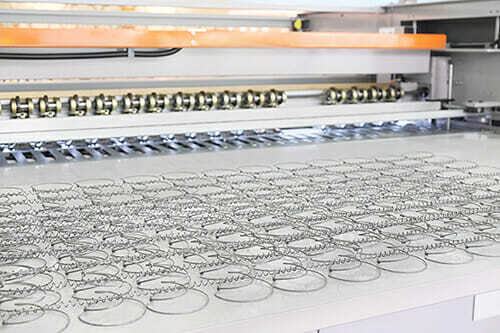 And nowadays, Eclipse International has become an innovator with no fewer than seven patents – one of which pertains to the “Zoned Quilt Support System.” This hallmark, it’s said, constricts the materials inside the middle third of the mattress so that sagging is curbed before the user ever climbs on board. The “Spinal Zone Sleep System,” meanwhile, has been developed to help alleviate back pain, and Eclipse International claims that the set-up has been proven in a clinical setting to do just that. Brothers Rob and John Merwin made their leap into the mattress industry back in 1995 – a time when Rob drove door-to-door in Phoenix, Arizona, to offload his stock. Since then, the pair have taken their Brooklyn Bedding business online, and they now also sell mattresses that boast a plethora of cutting-edge features. The Brooklyn Aurora, for example, contains a layer of what’s been dubbed TitanFlex – a proprietary super-stretchy foam that’s said to respond quickly to any movements made by the mattress user. Meanwhile, the equally innovative TitanCool featured in the same model works to conduct excess warmth away from the sleeper and so provide what the company calls “optimal comfort.” The TitaniumGel in Brooklyn Bedding’s Brooklyn Signature mattress also serves to cool down sleeping temperatures. It’s probably fair to say that green tea isn’t an ingredient that’s commonly found in most commercially available mattresses. Keetsa, however, has bucked the trend by adding a green tea extract to the BioFoam memory foam that it uses, in a bid to keep mattresses fresh without having to resort to potentially toxic materials. Keetsa’s BioFoam is also made up of 12 percent castor bean oil – a more eco-friendly substance than its petroleum-based counterparts – with a view to this proportion being increased in the future. And the company takes the environment into account when it comes to the use of cotton, too – by employing quantities of the fabric that haven’t been bleached or colored. This practice thereby curtails the need for chemical treatments, making the end result not only kinder on the planet but also potentially healthier for the user. On Sleep Science’s website, the company boasts that it provides “advanced technology comfort systems.” And as this claim may suggest, the Sleep Science range has several groundbreaking features all apparently created to help achieve the best night’s rest. The Ara Memory Foam Mattress, for example, includes a six-inch layer of proprietary foam with specially designed channels to allow for the free flow of air and so help keep sleeping temperatures cool. The mattress’ “Patented Wedge Support System,” meanwhile, is said to provide 20 percent more usable sleeping space than can be found on equivalent models on the market. Sleep Science’s Q-Series Adjustable Base is similarly state of the art, too – as by means of the wireless remote, the user can simply raise or lower the top and bottom of the bed with just a few quick button presses. In Tempur-Pedic’s Tempur-Flex Supreme Breeze mattress, there’s a plethora of proprietary technologies all seemingly custom-engineered to help users snooze soundly. The model’s “comfort layer,” for example, incorporates PureCool; this feature, as its name suggests, is intended to actively pull surplus warmth away from the individual and so provide a suitably temperate sleeping environment during the night. Meanwhile, the TEMPUR-Response fabric contained in the mattress is said to be able to react swiftly to any movements made by the sleeper and so in mere moments help give support where it’s needed. Tempur-Pedic’s Tempur-Ergo Premier base is state of the art, too, offering what the company calls “unlimited ergonomic positions” through the base’s ability to raise or lower the bottom and top of the bed. Four distinct massage modes can also be called into action simply by using the wireless remote. Before even setting up Purple, brothers Tony and Terry Pearce proved that they were innovators by creating Floam. This cushioning material was subsequently used in everything from golf bags to knee pads. The siblings didn’t rest on their laurels after this success, though, as they then went on to invent their patented Hyper-Elastic Polymer – a non-toxic, food-grade substance that these days can be found in Purple’s mattresses. In addition, the company now sells what is claimed to be the “world’s first no-pressure mattress” – thanks to a novel Smart Comfort Grid that helps alleviate pressure points and provide support where it’s most needed. The open-celled pattern also encourages airflow to assist in cooling sleeping temperatures, and it can even be customized to alter the sensation of The New Purple Mattress. Check out our review of Purple. A quest to alleviate a bad back led Zotto co-founder Shawn Keep into the mattress business. How? Well, although Keep finally found a foam configuration that managed to tame his aches and pains, this set-up was nevertheless way too hot to comfortably sleep on. So, Keep and a friend began to experiment, with the pair eventually unearthing a “dual phase-change material” that can both cool temperatures and move around heat to where it may be needed. This innovation is now to be found in the Zotto Mattress’ “ThermaPhase comfort layer,” which, as the company explains, “is the culmination of years of development.” Also within the mattress is what Zotto calls the “Z3 package” – a patent-pending blend of hybrid foams that it’s said help provide optimal levels of support and comfort regardless of the user’s body type. Along with a dedicated group of employees, Novosbed founder and CEO Sam Prochazka spent over a year refining the design of The Novosbed mattress. And just in case the end product wasn’t to everyone’s tastes, Prochazka came up with the then-novel concept of a 120-night trial period, too – thus giving customers more time to test out their purchases than many other mattress companies offer. 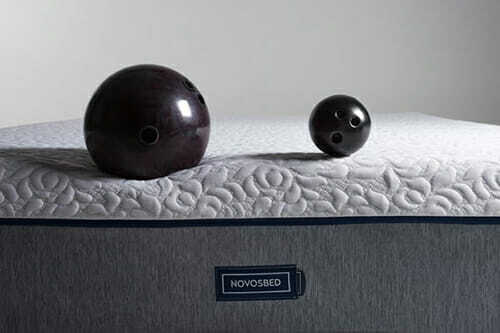 According to the Novosbed website, the company “decided to think differently about returns” in an effort to keep its wares out of landfill. Instead, then, it has partnered with charities and logistics professionals to distribute those unwanted mattresses to people who really need them. By the same token, the Edmonton, Canada-based business is also kind to the environment when it comes to the manufacturing process, as all unused and waste materials are recycled or put back into future products. IKEA first brought its innovative flat-pack furniture to the American public in 1985. And in the intervening decades, the Swedish homeware giant has continued to demonstrate a desire to be at the cutting edge; indeed, as the company’s website explains, “We constantly ask: Is there a better way?” This quest for continual improvement has, then, now yielded a range of mattresses that are both affordable and packed with features to help ensure a proper night’s rest. In the case of the Morgongåva, there are admirable green credentials in evidence, too, as the model is made up of naturally produced materials like wool, cotton and latex. IKEA also claims that by weight a minimum of 50 percent of the Morgongåva is comprised of renewable textiles and that the mattress itself can be recycled or utilized for energy recovery purposes. The birth of Tim Masters’ daughter started the master craftsman out on a path of further innovation. How? Well, because baby Emily was afflicted by allergies and asthma, it prompted Masters and his spouse to do some reading up. This research in turn led the parents to discover that their little girl could benefit from being around items made from more natural materials. As a result, Emily now sleeps on a mattress free from any artificial products – much like the models now offered by My Green Mattress. 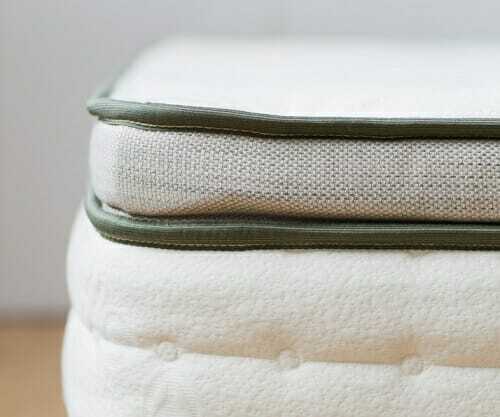 Organic cotton and latex and a flame retardant-free California sheep’s wool go into the company’s adult and baby mattresses, which are also all GREENGUARD Gold Certified thanks to their low VOC (volatile organic compound) emission levels. On the surface, cars and mattresses may not seem to have a lot in common. However, WinkBeds connects these two quite different inventions through its coolControl mattress base, which enables users to alter the warmth of both halves of a mattress independently – by as much as 30 degrees, in fact. This innovative feature employs similar technology to that used to adjust the temperature of car seats. And The Winkbed mattress itself also contains its fair share of state-of-the-art elements. The model’s proprietary Hypersoft Foam, for instance, was designed to help fully relieve any pressure on the body, and all in all, the company says, the material is “more buoyant than memory foam and softer than latex.” WinkBeds additionally claims that the mattress has been engineered to support anybody, regardless of their body mass and the position in which they prefer to sleep. 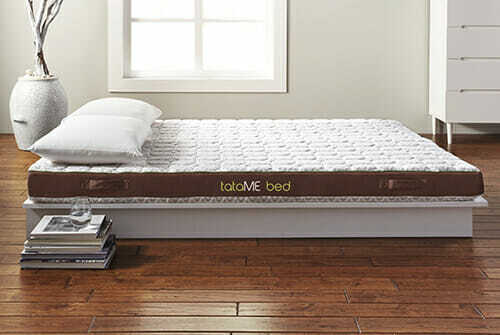 “You don’t need a thicker mattress, you need a better mattress,” tataME asserts on the front page of the company’s website. That seems a bold statement, too, given that tataME’s signature mattress is, at just five inches wide, considerably slimmer than those offered by much of the competition. The innovative tataME Bed appears to have earned its share of admirers, mind you, judging from the customer testimonials. One happy user has even claimed that they “are feeling better and better each day” by sleeping on the mattress – likely at least in part as a result of the model’s cooling gel-containing memory foam. Further inventiveness, meanwhile, is demonstrated by the tataME Bed’s “dual comfort” capability. Through this, anybody wanting a more yielding surface on which to sleep can simply flip the mattress over from its firm side to its plush side – with no tricky reassembly needed. Although Beautyrest can trace its history all the way back to 1870, it’s far from being stuck in the past. Indeed, Beautyrest prides itself on lying at the vanguard of the mattress industry, and the company touts its advances on its website – not least, the fact that it claims to be the first business to sell the “no-flip” mattress. This spirit of innovation might also have assisted in producing Beautyrest’s SmartMotion Bases, which the company claims may help a bed become both “a personal masseuse and [a] sleep guardian.” Users can therefore take advantage of the base’s six-mode head and foot massage functions to relax before shutting off the light. Meanwhile, the “Snore Relief” button on the base’s controls may be of benefit to anybody who suffers alongside a noisy sleeping partner, as pressing the button simply raises the other person’s head to put them into a different position. Luxi was set up in 2015 by father and daughter duo David and Shannon Farley. And as Shannon explains on the company’s website, when the pair first joined forces, “a mattress industry veteran [collided] with a new world technologist.” A combination of solid experience and genuine innovation has certainly been brought to bear in The Luxi 3-in-1 Adjustable Mattress, which the company claims is “the first ever adjustable bed-in-a-box.” This model can be easily adapted by the user to their own needs – just by unzipping the removable cover and swapping the positions of the mattress’ layers of foam to increase or decrease the firmness level. The potential for adjustment doesn’t end there, either, as Luxi 3-in-1 owners are also able to modify both sides of the mattress independently to suit the preferences of themselves as well as their sleeping partners. 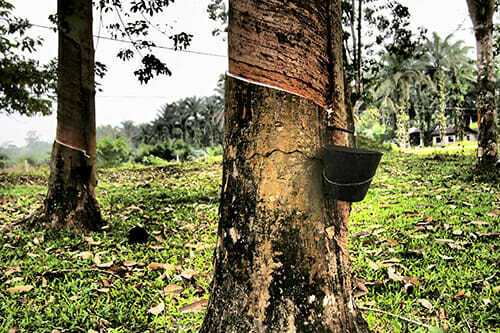 Palmpring boasts of a commitment to using only environmentally friendly materials. As such, the surfaces of the company’s mattresses are covered with organic cotton and wool – the latter of which is naturally flame retardant without having to be coated in anything artificial. 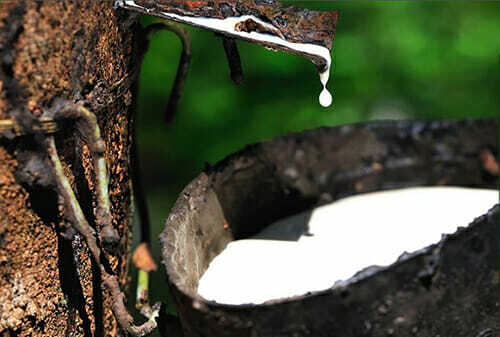 The latex used in the mattress’ foam is, similarly, from organic rubber trees – and is molded in a way that doesn’t necessitate the use of waste chemicals. Perhaps Palmpring’s most intriguing innovation, though, is the utilization of organic palm coir, which has been salvaged from coconut husk waste and extracted using just water as a solvent. That material is then employed in layers of varying thicknesses in Palmpring’s mattresses, with the firmest models containing greater ratios of coir to latex. In a 2016 interview with Forbes, Casper co-founder Luke Sherwin claimed, “Casper can do for sleep what Nike did for sports.” And while this may sound like a lofty aspiration, the company certainly seems to have poured a lot into achieving its goal. Casper Labs, for example, is a 5,000-square-foot workspace touted as being “dedicated to creating new innovations that defy the status quo” and “a platform to use real-time user feedback, testing and research to constantly iterate and improve upon existing Casper products.” One of the results of all this experimentation is, moreover, The Wave Mattress, which Casper claims is “a breakthrough in sleep technology.” The model features what’s been called “Hyper-Targeted Support” – a structure that’s said to echo the user’s body at 36 particular points and therefore help in providing the best night’s sleep possible. Read our analysis of online Casper Mattress reviews. In 2003 Reverie co-founders Tony Chang and Martin Rawls-Meehan joined forces to “design the bed of the future.” Then, just two years later, the pair produced the prototype of a technology that would go on to make their mattresses among the most original on the market. This technology is called DreamCell, and Reverie claims that it helps produce “a radical new level of customization” for the user. In short, the foam springs in the company’s mattresses can be rearranged at will to provide bespoke levels of firmness in specific areas. Sleeping partners can even separately alter their own sides of the mattress to reflect their support and comfort preferences. The massaging function in Reverie’s 3D Wave Power Base, meanwhile, may help users drift off with ease. And this particular innovation has been the subject of research conducted at Michigan State University. There, it was discovered that participants who fell asleep after a 30-minute massage from the Power Base woke up happier than those who hadn’t used the feature before snoozing. 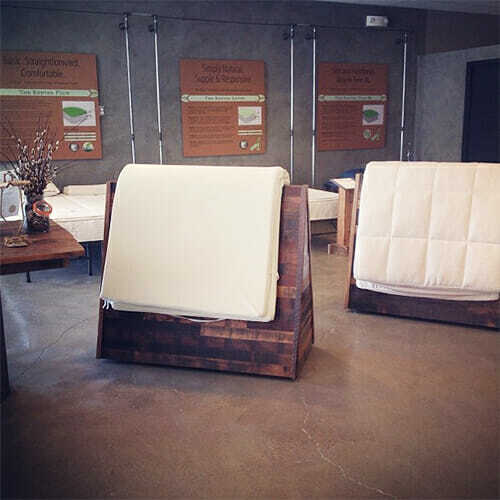 Avocado Mattress came into being after founders Jeff and Alexandra D’Andrea discovered that mattresses that are both competitively priced and environmentally friendly were noticeable by their absence in the industry. After looking around, in fact, they found that “what was often being marketed as green, natural and non-toxic was, in truth, hardly so.” So, the pair went about creating mattresses that leave less of an ecological footprint by being made with natural and more easily renewable materials. The latex used by Avocado Mattress is, for instance, sourced from sustainable rubber tree plantations, while the Joma Wool in the company’s mattresses is inherently antimicrobial without the need for further chemical treatments. Avocado Mattress’ wares are also GREENGUARD Gold Certified, meaning that the levels of VOCs (volatile organic compounds) emitted are low – a distinct advantage for anybody with concerns about how their time in bed may affect their health. Headquartered in Mebane, North Carolina, Kingsdown has been in business since 1904. This long history doesn’t mean it’s a company that rests on its laurels, however. 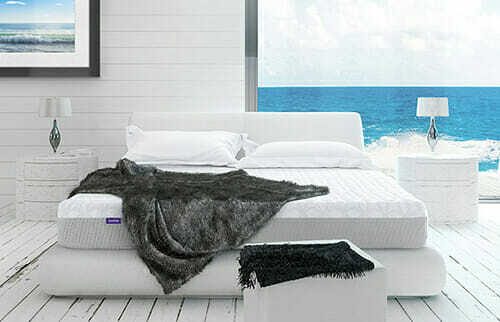 Far from it, in fact, since Kingsdown is now at the cutting edge of the new wave of smart mattress technology. Take, for example, the Sleep Smart mattress, which has been touted as the first of its kind to include an IntelliMax system. As a result of this innovation, the user may simply tweak the support level of the mattress and its base by way of a cellphone app; each side of the Sleep Smart model can even be adjusted independently. The IntelliMax Performance Fabric that covers the mattress, meanwhile, has been specially designed to dissipate both moisture and excess warmth, hopefully thereby making overheating between the sheets a thing of the past. Eight was established in 2014 with one express purpose: “to [help] people lead happier and healthier lives through better sleep.” To that end, and after four years of development, the company launched what it reckons to be “the world’s first smart mattress,” making it a pioneer in the industry. Eight now sells three such state-of-the-art mattress models – the Saturn+, The Jupiter+ and The Mars+ – all of which can be linked up to a bespoke app thanks to the innovative technology contained in the mattresses’ covers. Through this system, the user’s vital signs and sleep duration and even the warmth of the bed can all be tracked, with the resulting data revealed in the morning via what Eight calls a “Sleep Report.” Eight’s tech is also able to be connected to further smart devices in the home, meaning bedroom lights can be turned off without ever having to move from between the covers. And if the bed is simply too cold, then the mattress will take care of that, too; it can even heat up each side individually to sleepers’ preferences. ReST’s groundbreaking ReST Bed not only helps users get a good night’s sleep, but it may also improve their sports performance. How? Well, through the sleep data gathered via the mattress’ sensor, athletes can clue themselves up on the quality of their nightly rest and thus assess just how this might impact on their achievements on the track or field. Meanwhile, anybody plagued by back problems may benefit from the ReST Bed’s “real-time adjustment” feature, which reacts to any movement made and makes the necessary changes to help ensure that the sleeper’s spine is firmly aligned. The mattress has five individually controllable support zones, too, and these can be fine-tuned via the ReST app, meaning the user is able to lie upon a surface minutely tailored to their exact needs. Sleep Number’s “Innovation Series” of mattresses are aptly named, not least because they use what the company calls “SleepIQ technology.” That tech involves interior sensors which track users’ heart rates, breathing patterns and motions during rest – and the information collected can then be used to make necessary lifestyle improvements. At the same time, if changes to the mattress are required instead, Sleep Number’s DualAir technology – contained in the company’s CSE Bed model – may be of assistance, as this feature helps modify the mattress to the optimal levels of firmness and support needed. Each side of the bed can also be altered independently, which could be a boon for couples with different sleeping preferences. Anybody with a partner who snores, meanwhile, may be saved from any nighttime angst by Sleep Number’s 360 i7 Smart Bed with Flexfit, since this can be raised to help curb nocturnal noises.